Let's start with the most exciting news first. 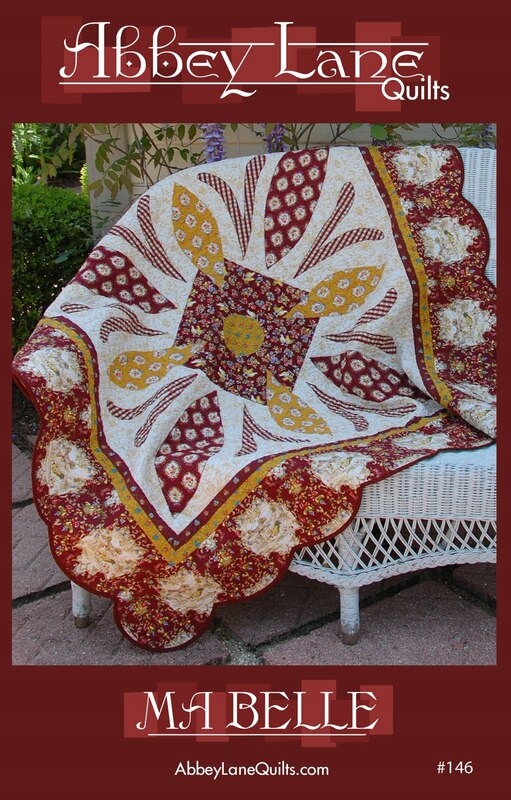 Electric Quilt has a new version, EQ7. We love eq, we use it almost everyday, in fact most our designs are done on it. We have been interviewed by eq and even featured in the Amy Butler version. Sarah and all the ladies over there are so helpful. So, head over to http://www.eletricquilt.com/ and read all about it. WE CAN'T WAIT TO GET OUR HANDS ON IT. Janice and I are up to our ears in fabric, patterns, quilts, flowers, bags, you name it, we are working on it. Market is coming way too fast. 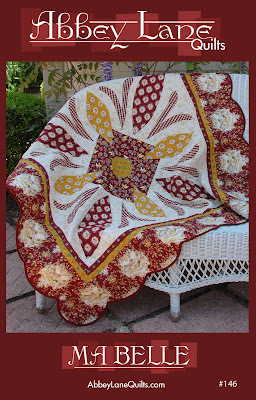 We do have one new pattern that is now ready to purchase on the website, http://www.abbeylanequilts.com/. It is called MA BELLE, and has a fun, french flair. We used Provence from RJR for the pattern cover. We made up this beautiful version using moda fabrics. It is just patiently waiting for binding. Have to get back to work, so have a great week. I am excited to see the EQ7. I just posted about your darling thread catchers on my blog...I can hardly wait to make mine! I impressed from you blog.